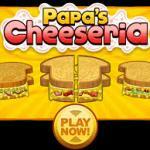 There is a new restaurant in Toastwood town and it's called Papas Cheeseria. That's your chance to make some money. 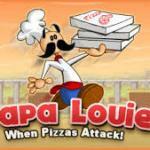 So ask the friendly, mustachioed owner, Papa Louie, if he will hire you. 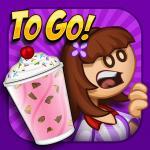 You can play either as Rudy, Scarlett or you can create your own worker. Your objectives in Papas Cheeseria are to take customers orders, cook some delicious grilled cheese sandwiches and serve the dishes in time to make the people happy and Papa's restaurant successful. Much fun! 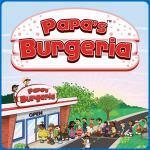 You should play Papa's Freezeria and Papa's Burgeria, too. 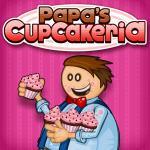 Papa just hired you to work at his Cupcakeria. Your job is stressy but fun. Take customers orders and bake fantastic little cakes for them. 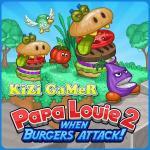 Papas Wingeria: Like in other Papa games you have to meet and greet customers, take and cook their orders as you try to serve in time to guarantee the best services. 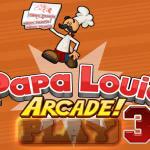 Papa's Pizzeria: The smash-hit game! 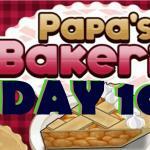 Your mission in this pizzeria simulation game is to help Papa to take orders and bake pizzas. Sounds simple, but it's not. Much Fun!